Let’s start by saying that by now, businesses are well aware of how important reviews are in a customer’s search for a local business. Many businesses feel pressured to try to influence reviews in their favor. However, by manipulating the review process, they actually undermine the very value reviews hold: trust. In April 2018, Google updated its review guidelines for businesses who collect reviews from their customers. Among these updates were specific guidelines around a practice known as “Review Gating.” Both Google and BirdEye are against review gating. 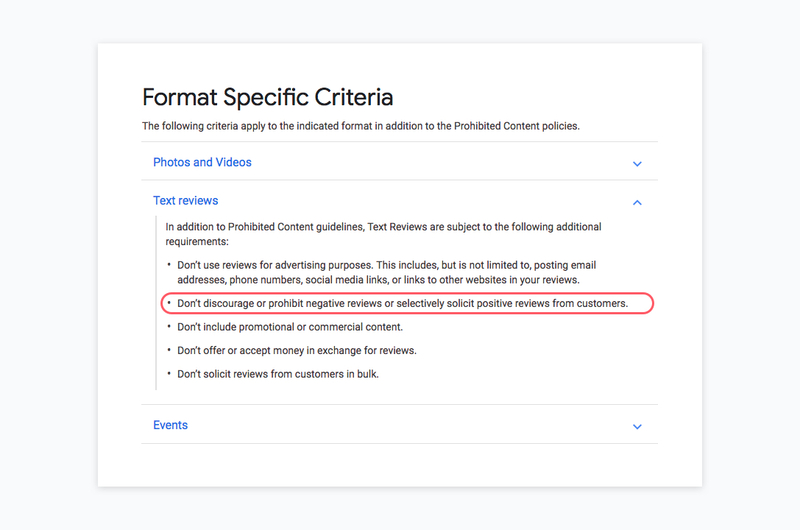 As Google states alongside its Prohibited Content policy: Don’t discourage or prohibit negative reviews or selectively solicit positive reviews from customers. So what does ‘review gating’ mean? Review gating refers to when a company intentionally sends only happy customers to review sites, and filters out unsatisfied customers in order to prevent negative reviews. To accomplish this, the company sends a message to all customers asking if their experience was positive or negative. Those who say they had a positive experience are redirected to a form where they can easily post an online review, whereas those who say they had a negative experience are sent to the business’ website to leave a comment privately. The end result is a deceivingly positive rating for the business that may not be representative of their actual customer satisfaction. Selectively routing survey respondents to review sites based on their responses. Most survey companies allow businesses to set up “skip and display” logic. Using this, businesses can identify happy customers and selectively ask them for reviews. 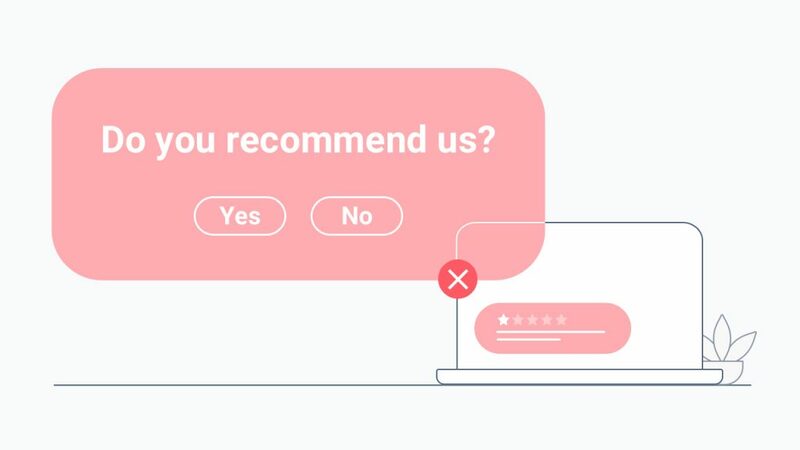 Asking only those customers to leave a review who you think will leave positive feedback face-to-face, and refraining from asking unsatisfied customers for feedback. Offering incentives for positive reviews. This results in artificial, biased positive feedback that does not actually reflect the customer’s real experience. Why is Google against gating reviews? Google’s mission is to provide users with relevant, trustworthy information. Customer’s Google reviews are at the core of the trust Google strives to foster. They are meant to describe authentic experiences from unbiased sources. 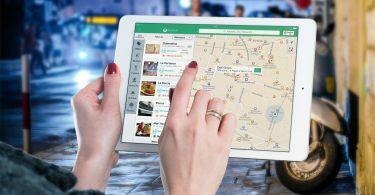 Reviews help consumers find the best local businesses; reviews and ratings impact how local businesses rank in Google search results. By not allowing review gating, Google intends to keep the integrity and power of reviews intact. Does BirdEye allow review gating? No. BirdEye does not allow review gating.xRead Section 5 of our Terms of Service for complete details. In the past year, we have also launched several new features to crack down on review authenticity. These include stricter user authentication for BirdEye reviews using a Google or Facebook login, tighter review content relevance requirements, enhanced spam and slander detection algorithms. Businesses who use BirdEye to collect and manage reviews can be confident that all the reviews they receive are authentic and ungated. They can rest assured that their customers and prospective customers trust those reviews to be a genuine representation of their business. What does BirdEye’s review generation process look like? 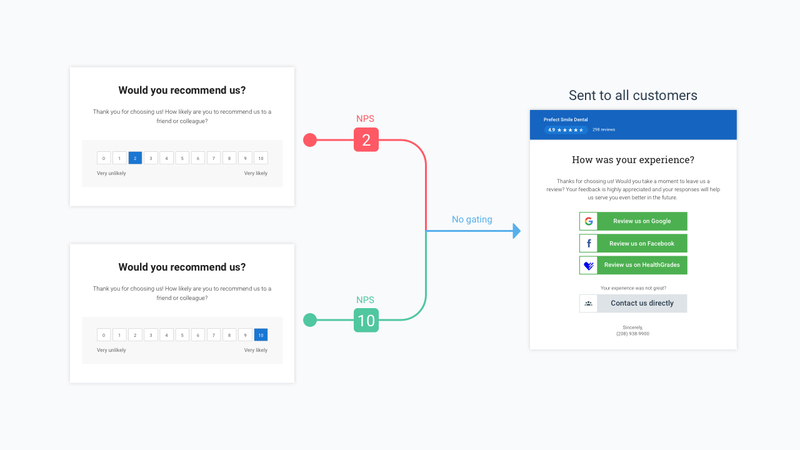 Businesses using BirdEye can get new reviews using three different workflows. These workflows have been validated by Google. Send a review request email or SMS to all your customers. This workflow is usually automated since BirdEye is integrated with 300+ CRMs. Right after a customer visits a local business, a review request email or SMS is automatically sent to them. The customer has the option to write a review on a third-party site (review site options are provided by the business). All these options are provided to all customers, regardless of their sentiment (positive or negative). Combining customer experience and third-party reviews. Many of the enterprises we work with want to measure their Net Promoter Score (NPS) or Customer Satisfaction Score (CSAT) at every touchpoint in the customer journey. While collecting this internal NPS / CSAT data, often these businesses want third-party reviews from their customers as well. BirdEye allows businesses to set up 2-in-1 customer experience templates that let them measure satisfaction internally, while simultaneously soliciting reviews on third-party sites. The key distinction here is that if the business does decide to include third-party review requests in their customer experience template, those review requests must be sent to all customers, regardless of how they score the business on NPS or CSAT. Combining surveys and third-party reviews. 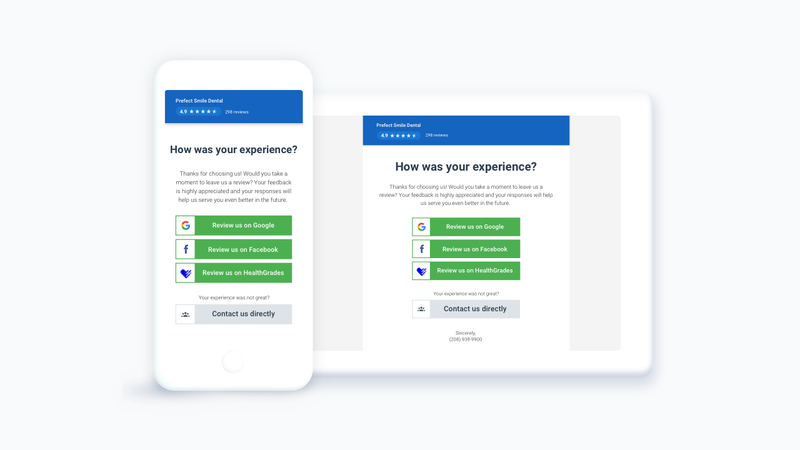 Many of our small business and enterprise clients want in-depth insights into their customer experience, so BirdEye allows them to create custom surveys at every touchpoint of the customer journey. In addition to survey responses, many businesses also want to collect more third-party reviews. 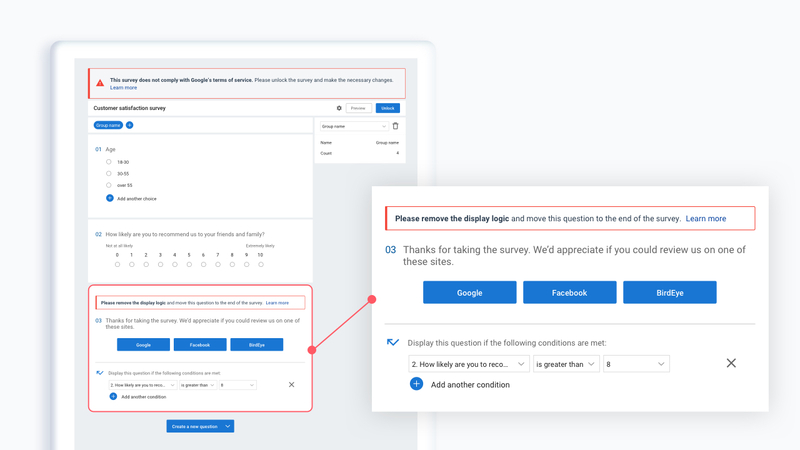 BirdEye gives businesses the option to include a third-party review request at the end of each survey. However, the BirdEye platform does not allow this review request to be setup using any “skip or display logic“ that would result in review gating. In other words, if a business adds the third-party review request to any survey, all customers taking that survey will be given the option to write a third-party review, regardless of their sentiment. If you are a business, why is review gating a bad idea? You will lose the trust of your customers and prospective customers. Your customers will only trust your reviews if it’s clear they are authentic and represent an unbiased view of your business. Gating reviews defeats that purpose by leading to disproportionately positive reviews that customers view as less credible, especially when their experience doesn’t match what they read about in reviews. Companies like Google are unlikely to publish your reviews if you use gating. If you gate your reviews, Google can likely detect that and if this happens, they may remove your reviews, and/or penalize your business in search rankings. Contrary to popular belief, review gating does not really help you get ahead. BirdEye has accumulated review data for 40,000+ businesses over the past several years. We looked at review ratings and conversion data for businesses that used Review Gating (prior to Google releasing their policy on review gating in April 2018) vs. businesses that did not use Review Gating (or subsequently turned it off after the Google policy change). We observed that businesses not using review gating actually increased their review count, without any meaningful impact to their ratings. Your best course of action is to build trust with your customers by collecting reviews for all customer interactions. Understanding all points of view about your business can help you improve aspects of your operations that you maybe hadn’t even thought of before. Not to mention, negative reviews aren’t a bad thing — they actually help prove to prospective customers that your reviews represent real experiences, making them trust the positive ones even more. Most successful businesses use a tool like BirdEye that automates their end-to-end review process while following industry best practices. 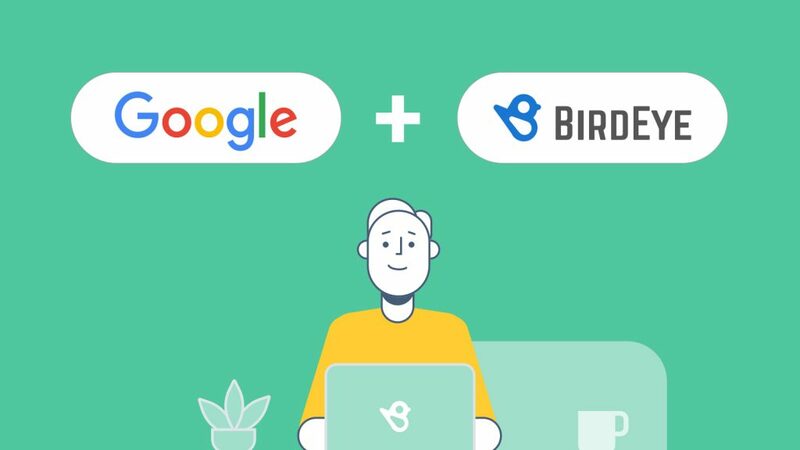 BirdEye partners with Google and has API integrations for each step of the review process — e.g. a private API integration for getting new reviews, an API integration for automated review response, and an API integration to display maps and reviews on your business microsite. If you are a channel partner or reseller, why is review gating bad for you? If you have chosen BirdEye as your trusted partner for reputation management or customer experience management, it’s our responsibility to make sure you and your businesses are compliant with policies of all third-party platforms — be it Google, Facebook, Yelp, or any vertical-specific review site. Review gating is harmful for you and your customers for the same reasons listed above. 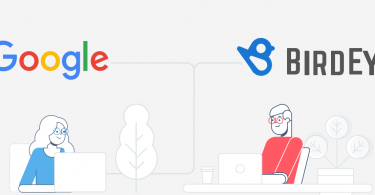 Trustworthy reviews benefit both businesses and customers, which is why preserving an authentic review ecosystem is the core mission of both Google and BirdEye. By giving all their existing customers an outlet to share their firsthand experiences, businesses can acquire new customers while gaining valuable insights into the customer experience. Customers can consult reviews for reliable, unbiased information when comparing local businesses so they’re confident in their selections. Google and BirdEye automate and simplify the review process while making sure the integrity of reviews is maintained. Everyone wins.